So far Tristan Paxton has created 50 blog entries. In this video, we're going to learn the Jackson Browne song, made famous by The Eagles, "Take It Easy". In this video, we're going to learn Maroon 5's first big hit, "This Love". In this video, we take a look at playing "Hanging By A Moment" by Lifehouse. Today we're going to learn a classic rock track of the new millennium, "The Middle" by Jimmy Eat World. In this video, we're going to learn "I'll Be", a power ballad by Edwin McCain. In this video, we learn the classic Stones ballad, "Angie". In this lesson, we're going to take a look at "Safe and Sound" by Capital Cities. 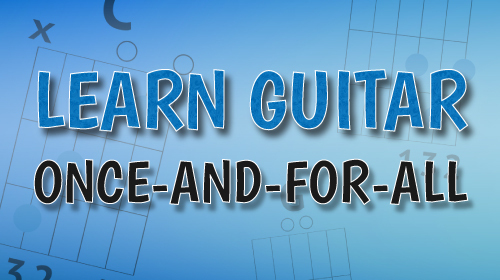 In this lesson, we're going to learn "While My Guitar Gently Weeps" by The Beatles. This was one of George Harrison's biggest contributions to the White Album. Today we're going to learn an early Bob Marley hit, "Stir It Up". Big wheels keep on turnin'! Let's learn Sweet Home Alabama today!